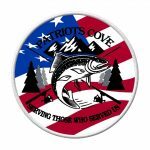 This week Jeff and Melissa Swire, founders of Patriots Cove in Luzerne County, join us on tecBRIDGE Radio to talk about veterans rehabilitation, spousal support, and improving the environment. No better example in our community of Why Not Us? Why Not Here, Why Not Now? Check. It. Out.